W.K. 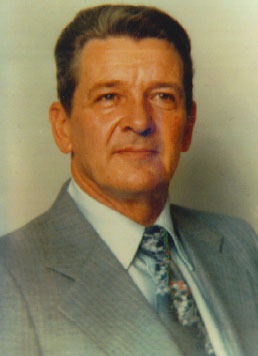 "Jack" Perry, known to many of his colleagues as "Homicide" Perry, was fascinated and frustrated by the Little case until the end of his life. There were two reasons he could never really give up on solving it: He had become friends with Mary Shotwell Little's family, which made him take her disappearance almost personally, and he hated to fail. He grew up in the heart of Atlanta, but it was still a small city in his youth, and Perry's drawl and folksy manner of speech were the kind we associate today with the vanishing rural South. He loved the outdoors, and when he talked about his off-duty passion, raising horses, he sounded more like a frontier sheriff than a 20th-century urban detective. But there was nothing horse-and-buggy about Perry's methods. He was relentlessly modern in his obsession with preserving crime scenes intact and examining them as a whole. He taught investigative techniques not only to Atlanta police, but also to FBI agents. He had a philosophy that today would be called "holistic," though he would have scoffed at such a fancy word. He had no patience with policemen on the beat who didnt appreciate the value of scientific data, but he was equally scornful of forensic experts who didnt understand what it was like to have to deal with a dead body in the middle of a busy neighborhood. Perry's assertive approach to investigations sometimes got him into trouble. Once, when the mayor of Atlanta showed up at the site of a high-profile homicide, Perry had him shooed away like any nosy bystander. A mayor would only have gotten in the way, the detective later explained to his angry superiors. Jack Perry worked his way up through the ranks, starting in the early 1950s as a motorcycle patrolman. Officers rode without helmets in those days, which was almost as dangerous as facing an armed criminal. Perry himself barely survived a spill he took during a high-speed chase. He did his first work as a detective in the vice division, and though his cases were often as simple as they were sordid, he learned the basic lesson of solving crimes: Nobody is above suspicion. Nothing was ignored when Perry had charge of a homicide. No scrap of information was too trivial, no tipster was too eccentric. Even though Perry was amused by psychics and said, "I never got anything of value out of any of them," he did not turn them away when they came to him. He listened and recorded every detail of their visions. No case absorbed him as the Little case did. Even though he had examined thousands of human remains, he liked to say in his later years that he would know Mary Little's skeleton immediately if he ever came across it. He had memorized the structure of her bones and teeth. "I know everything about her but where she's at," he told The Atlanta Journal-Constitution. When Perry retired from the Atlanta force in 1979, he tried to forget the mean streets of the big city. He devoted himself to his family and to his little ranch in the countryside. But every few months, someone would contact him about his most famous case, the one he couldn't crack. Their questions and theories were seldom original, but he was always willing to talk. Occasionally the police would call. Someone had come forward with childhood "memories" of seeing Mary Shotwell Little murdered and was willing to lead authorities to her grave. Perry never discouraged his successors from checking out what they had heard, but he could recognize bogus tips, because he had heard them all before. "Go ahead and dig," he would say wearily. "You won't find anything." In the late 1980s, Perry worked as a private investigator for defense lawyers, but he "wasnt comfortable working for the other side," he said. 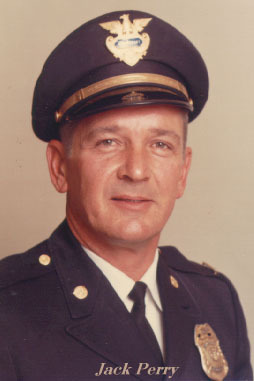 He later assisted police departments near his home until declining health forced him to retire for good. In the early summer of 1995, Perry told a visiting journalist, "I'm ready to go." His body was racked by pain from cancer and diabetes. But even then he had not lost all interest in homicide. In a major interview on the Little case in the last two weeks of his life, Perry expressed an unusual wish. "If I could," he said, "I'd like to go back to Atlanta and work on one more case." Perry died at home, in his sleep, on July 3, 1995. He was 68.